Top US consulting firms have multiple office locations. Which office location is most desirable? Consulting firms have offices in Los Angeles, San Francisco, Houston, Denver, Chicago, Atlanta, Boston, New York, and Seattle. Which is best, and for what reason? Which locations hold the most influence and would help your consulting career trajectory the most? In this video, we break it down and give you the top three US locations for consulting firms. Listen to Jenny Rae as she gives the rationale for these top consulting office locations. Consulting firms. When they think about where they’re going to build offices, they think about where the money is. The money is where the centers of power are in the business world, where major decision makers are, and finally, where you, their potential hirees, might want to live. Ultimately, consulting firms put themselves in cities and grow their presence in cities where both of those qualifications are met. If there’s money to be had, and their staff to be employed in order to put on the projects, they build an office. Now, a lot of consultants are known for traveling, and a lot of your projects aren’t going to be in office. However, there still are major network effects for some key cities in the United States. So we’re gonna highlight today the top three most popular office locations in the United States. Number three, interestingly, is Boston, Massachusetts. Boston is interesting because it’s not one of the largest metropolitan areas. It’s also not one of the fastest growing. But there are major network effects from universities in the Northeast that are related to being in Boston. Also, two main headquarters of major consulting firms, the Boston Consulting Group and Bain & Company, are in Boston. And many other firms have made a big pharmaceutical presence in Boston. So those practices – as the health care sector has continued to grow – have really advanced the Boston offices for hiring. Number two, San Francisco. Over the last 10 years, we watched tremendous transformation take place in San Francisco. You see not just an advancement in start-up companies, but probably more importantly for consulting firms, maturing of many firms. The firms are now in a place where they are regularly working as clients of consulting firms. They’re doing cost optimization work, which is something that 10 years ago they weren’t doing. The firms are also doing outsourcing work, which they’ve always thought a little bit about but it’s really becoming core to their business. They’re doing acquisition work and other strategic work, which is something that top U.S. consulting firms have excelled at, but the tech firms haven’t always thought about. All of that work means that San Francisco is a hotbed for top U.S. consulting firms’ hiring. For all of you, San Francisco has become one of the top places on your list to go. Because of that, for private equity, for venture capital, and everything that’s happening in the Bay Area, San Francisco is number two on our list. For consulting firms, the place where they all want to be, where they build their fanciest, biggest, flagship offices in the world is our number one. You guessed it – it’s New York City. New York is pretty hard to beat when it comes to competition for talent, and it’s also a center of power. You have some major industries that are headquartered there, such as financial services. And over the last 10 years we’ve seen trouble in financial services – and trouble smells opportunity for top U.S. consulting firms. That’s exciting for them, so there are lots of problems to fix, and there are a lot of you that are interested in living in New York City to fix it. And what is it about New York? Everyone who’s on the island says, “It’s the best place in the world.” Having lived there, I absolutely agree and understand where they are coming from. Interestingly, there are a lot of other places that, even though they’ve seen growth, New York has continued to eclipse in terms of popularity. 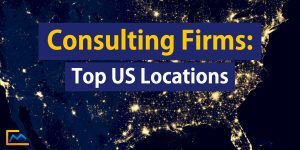 Overall, these are our top three locations for U.S. consulting firms. Number one, New York City. Number two, San Francisco. And number three, Boston. These are by no means comprehensive – and they aren’t representative of where we recommend you apply if you are open based on city location. 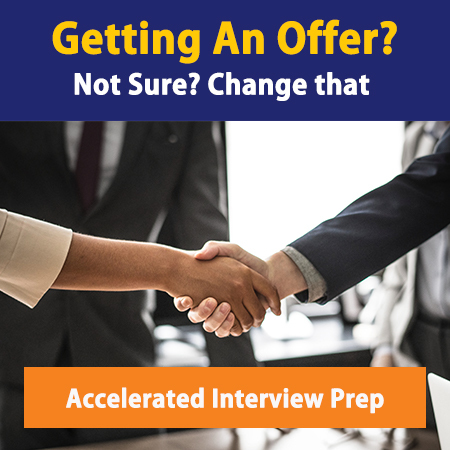 In fact, there are some great strategies to game the office selection system. If you’re interested in insights for how to go about strategies on selecting your consulting office locations during the application process, we would love to help give you even deeper insights across the U.S. and in the rest of the world.